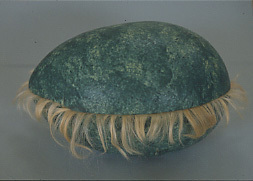 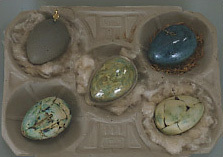 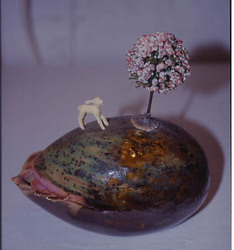 Eggs are sculptural and frequently mixed media. 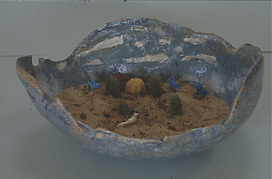 Some contain landscapes and are planted with specific plants as part of the work, rather than as pots. 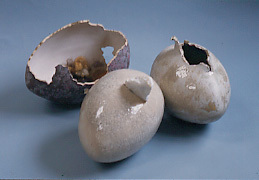 All are stoneware and many are suitable for siting in gardens or exterior spaces. 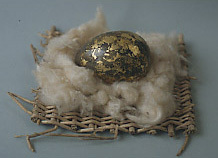 Larger eggs are approximately 30 cm long and small ones are approximately 10 -20 com long.